Product labels are becoming increasingly important. On the one hand labels are applied on a voluntary basis, on the other, they are part of the commercial agreement between the producer and the customer, and finally, some labels are mandatory. Labels may serve different purposes. On the one hand they are used on a voluntary basis, on the other they may be the result of a mutual agreement between a producer and his client. Sometimes, labels are mandatory. 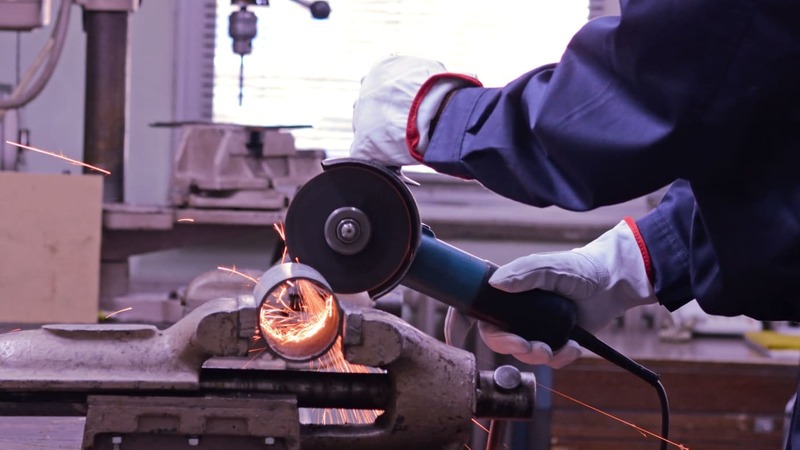 This article focuses on the mandatory CE-marking of protective clothing and gloves. Protective clothing and gloves belong to the group of personal protective equipment, or PPE. PPE has to be placed on the European market according to the regulations laid down in the EU Regulation 2016/425. This Regulation determines the fundamental safety requirements with which products have to comply and the procedures that have to be completed before placing a PPE on the internal market. In this way, EU Regulation 2016/425 facilitates the free movement of PPE in the internal market with due respect of the minimal requirements regarding the consumer's safety and security (the so-called fundamental requirements). The actual technical elaboration of the fundamental requirements is based on harmonised European standards, which confer an irrefutable presumption of conformity with the legislation. As a visible indication of conformity with the fundamental requirements, the producer is obliged to affix the CE-mark on his equipment. The EU Regulation 2016/425 appeals to notified bodies for a number of tasks. This is especially the case for the CE-type examination of PPE belonging to categories II and III and for the monitoring of PPE of category III. PPE of category I doesn’t require any formal intervention by a Notified Body, although it may act as a consultant or laboratory. The European Union issued a number of regulations to improve health and safety at work and to ensure high quality personal protective equipment (PPE). The PPE Regulation (EU) 2016/425 covers the manufacturing and marketing of personal protective equipment. It defines legal obligations to ensure that PPE on the European market provides the highest level of protection against hazards. The CE marking affixed to PPE provides evidence of this protection. 3. Connection systems for equipment referred to in point (1) that are not held or worn by a person, that are designed to connect that equipment to an external device or to a reliable anchorage point, that are not designed to be permanently fixed and that do not require fastening works before use. The PPE Regulation is aligned to the New Legislative Framework policy and slightly modifies the scope and the risk categorisation of products in comparison with the Directive 89/686/CE. It also clarifies the documentary obligations of economic operators. As this is a “New Approach” Directive, manufacturers or their authorised representative in the EU can comply with the technical requirements directly or with European Harmonised Standards. The latter provides a presumption of conformity to the essential health and safety requirements. If you want to place PPE on the market as a manufacturer or as an importer, you have to prove that the PPE in question is in conformity with the fundamental requirements. To this end, you always have to draw up a technical file including all elements producing this proof. You have to keep this technical file until 10 years after the production of the PPE has stopped and submit it on demand of the supervising authority. PPE are divided into three categories according to the gravity of the risk against which they protect. The category determines the procedure you have to complete before placing a PPE on the market. Statistics on fatal and major work accidents underline the importance of protection and prevention, for which personal protective equipment plays an important role. The EC type examination certificate holder also produces a 'declaration of conformity' – a document including details of the company, information on the product, a list of the European Directives and the standards the product complies with, and a legally-binding signature on behalf of the organisation. The certificate holder has the responsibility to ensure that all supplied products are consistent with the type-approved model and continue to meet all the essential requirements of the PPE EU Regulation 2016/425. The EU Regulation 2016/425 appeals to notified bodies for a number of tasks. This is especially the case for the EU-type examination of PPE belonging to categories II and III and for the monitoring of PPE of category III. The categorisation of PPE according to the Regulation (EU) 2016/425 is as follows. Potential hazards to hands and arms include skin absorption of harmful substances, chemical or thermal burns, electrical dangers, bruises, abrasions, cuts, punctures, fractures or amputations. Protective equipment includes gloves, finger guards and arm coverings. There are many types of gloves available to protect against a wide variety of hazards. The nature of the hazard and the operation involved will affect the selection of gloves. The variety of potential occupational hand injuries makes selecting the right pair of gloves challenging. In the new Legislation (EU) 2016/425 regulation also gloves for domestic use are now a PPE and need CE marking. So, oven gloves and BBQ gloves will need an EU Type examination certificate starting 21 April 2019. EN 420 is the general standard that is always used in the certification process of gloves. This standard defines the general requirements and relevant test procedures for glove design and construction, resistance of glove materials to water penetration, innocuousness, comfort and efficiency, marking and information supplied by the manufacturer applicable to all protective gloves. It can also be applicable to arm protectors and gloves permanently incorporated in containment enclosures. This European Standard does not address the protective properties of gloves and therefore should not be used alone, but only in combination with the appropriate specific European Standard(s). So it always needs to be used in combination with another product standard that describes the protection of the hands and arms. Some examples of these standards are listed above. Resistance to penetration and permeation are two variables related to the barrier properties of materials. When determining the penetration resistance, the material is exposed on one side to the test liquid. In general, the test liquid is put under pressure and one visually observes whether the liquid penetrates through the material. Exactly this visual detection is the weakness of this test. The test result is a pass/fail. A more complex test method is used to determine the permeation resistance. Whereas in the case of a penetration test, the bulk liquid is forced through the barrier, the permeation test is based on a molecular diffusion of chemicals through the barrier. The sample is exposed to the test liquid on one side. By means of an instrumental method it is then determined when the test liquid breaks through the material on the other side. In such a test one determines the breakthrough time and sometimes also the permeation speed. A test cell is composed of two compartments where the material is brought into contact with the test liquid. The textile to be tested is placed in a test cell. One side of the textile is brought into contact with a test liquid. On the other side of the textile, the collection medium is located, that has to be screened continuously. The collection may be done either with gas (air) or liquid (water). The detection in the case of gas permeation is performed by means of a PID. It is important that the test liquids are sufficiently volatile. The detection in the case of liquid permeation is performed by means of a conductometric detector. It is important that the test liquids are sufficiently water-soluble. A test is typically performed during maximum eight hours, by which the performance level of the material is determined by the time a test liquid needs to break through. During this period the sample is continuously exposed to the test liquid. A new test method was introduced in the EN 388:2016 version: Degradation. In this test the glove material is brought into contact with the same chemical that is used to determine the permeation resistance of the glove and the perforation resistance of the materials is compared before and after a 1 hour contact with this chemical. All textile products, from fibre to finished product (apparel, sports article, car or aeroplane component) have to meet very strict quality requirements during their entire life span. Textile products include textile fibres, yarns, woven, knitted or non-woven, laminated, coated and finished textile products (such as fabrics and carpets). In order to assess these textile qualities, the physical testing laboratory in Gent performs the entire panoply of physical analyses, such as fastness to light, fastness to rubbing (wet and dry), elongation, tear resistance, burst resistance, dimensional stability, pilling and abrasion, seam slippage, next to resistance to ageing under the influence of light, humidity and heat, conductive and antistatic properties. Based on the number of cycles resuired to abrade trough the sample glove. Based on the amount of force required to pierce the sample with a standardized point. When textiles are applied in (public) buildings and means of transport as curtains, upholstery, floor and wall covering, or when they are used as sunblind or PPE..., very strict standards apply in respect of their burning behaviour. Several disasters in the recent past have made these standards even more severe. Centexbel carries out tests commissioned by the authorities, expedition companies, importers, producers, consumers... in order to verify the conformity of the products with the label’s requirements. It’s important to analyse the burning behaviour of textiles, the smoke propagation and the toxic composition of liberated smoke. Not all these properties are tested on each glove – only the ones that are claimed by the manufacturer. In many areas of society, labelling is frowned upon. To label someone based on a preconceived stereotype may result in massive errors in judgement. Yet when it comes to personal protective equipment, labelling equates to clarity, peace of mind, and improved workplace safety. That little label indicating a CE mark indicates an assured level of safety and compliance with European standards.